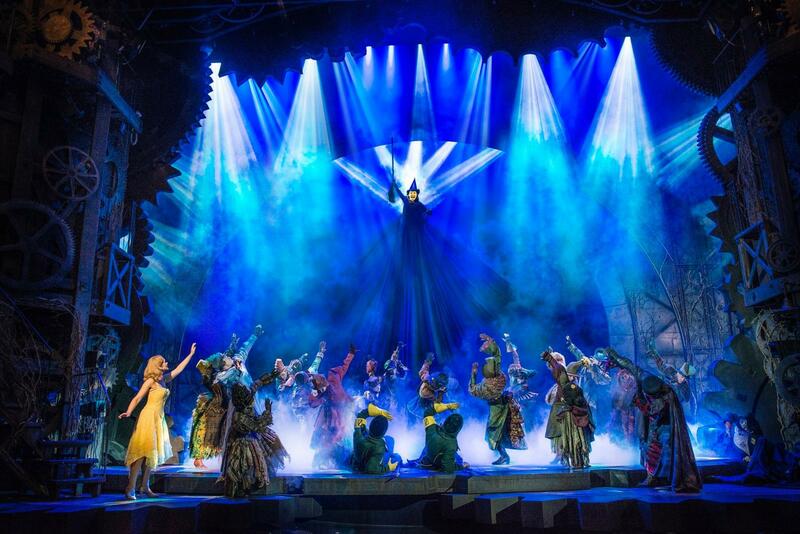 So I had the chance to go and see Wicked – the Musical with my children this week and it really got me thinking, in more ways than one. I have many happy memories of taking my children to the theatre, from when they were very tiny. I remember taking them to pantomime, and to see “The Tiger who Came to Tea” and “The Gruffalo”. For my daughter’s 6th birthday, she and I went up to London and watched the Lion King. We support local theatre productions and we’ve also been to the West End a few times. It’s always been a big joy for all of us. From the early trips, I really remember the awe and wonder, how excited they were to go, and how big and exciting everything was, especially the big tubs of sweeties that you could buy. I felt very firmly in charge, sharing my love of live theatre with them, and enjoying watching them as they soaked up the experience, agog at all the exciting sights and sounds. It was such a joy to watch the shows and to watch them enjoying themselves. And then they grew up…. 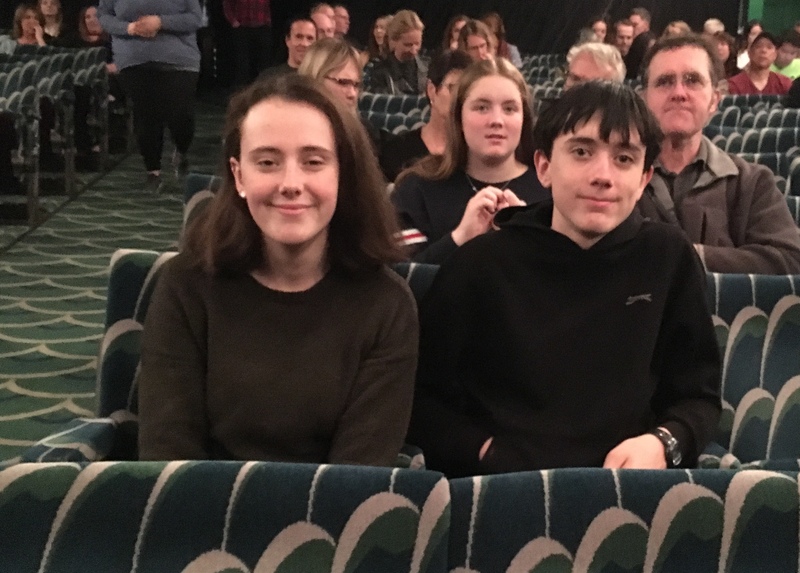 Well, I had the opportunity to visit the theatre with both children again this week, as I received some tickets from Encore Tickets to review one of our favourite West End musicals. 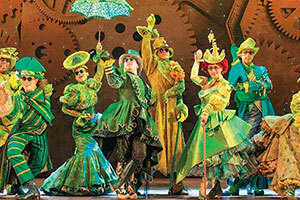 We went to see Wicked – the Musical, at the Apollo Victoria, which was fabulous (more below). But I found myself thinking how much of a different experience it was for me than the theatre trips of long ago. No less enjoyable, but just different. The children are growing up so fast, and parenting is just different now. My children are 15 and 13 now, and we don’t generally organise theatre trips as a family any more. They both prefer cinema anyway, and quite often they go to the cinema on their own, because they can, and they find that more exciting. They were both excited though when I told them I had tickets to see Wicked. And here is the first difference – they had both seen it before, whereas for me it was the first time. 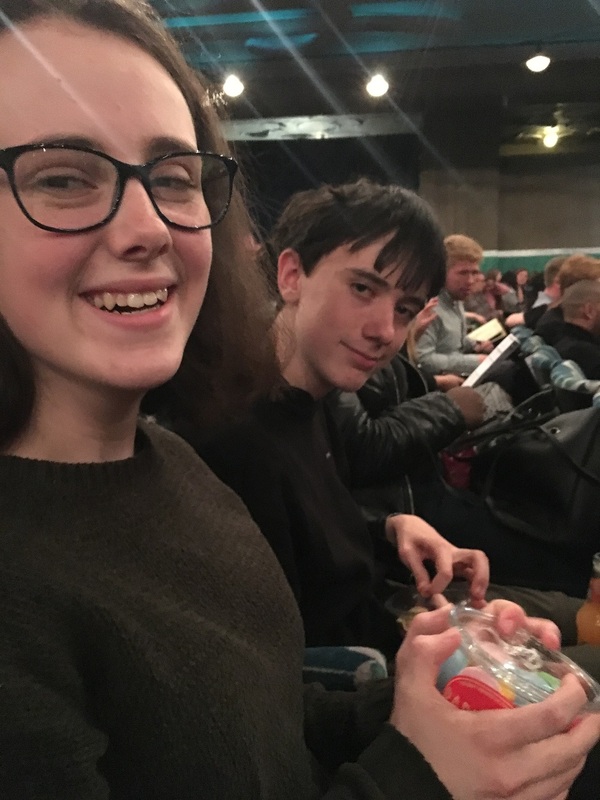 They are both studying GCSE music and Defying Gravity, one of the main songs in Wicked is one of the set pieces they study, so both of them had been on school trips to see Wicked. So instead of me sharing one of my favourite shows with them, this time they were taking me to see something that was one of their favourites. We travelled up to Victoria, taking time to have something to eat on the way. The children chose the restaurant (Yo Sushi, which has always been their favourite place to eat in London). Even with the Blue Monday special offer, I wistfully noted how large the bill is nowadays, now that mine is the smallest appetite, not the biggest one. And then on to the theatre. We met the Encore rep outside and picked up our tickets – stalls seats near the centre of the auditorium. The theatre is really big and spacious, and it was surprisingly full on a Monday night, considering how long Wicked has been running for. Our view of the stage was amazing, and I also really enjoyed how they had staff running around taking people’s bar and food orders, both for before the show and the interval. Everything in the theatre is green – the carpets, the seat covers the decor. I wonder if it was always that way, or whether it was redecorated just for the show… whatever the answer to that the overall impression is stunning and really sets the scene, and the set design was also really impressive. And so to the show itself – as I’ve said before the children had seen it before whereas I had no real knowledge of the plot apart from a brief outline. So instead of me taking the lead, they were the ones anticipating the plot twists and surprises and watching me with pleasure to see how I would react to them. During the interval, they had a big academic discussion covering the study points which they needed to learn about the musical – how clever the composer had been to subtly reference the Wizard of Oz throughout, and other musical devices and leitmotifs which were worth mentioning. They had also noticed different bits of the plot on second viewing and wanted to compare notes. My daughter also had some thoughts about the performers’ vocal technique – some good, some not so complimentary. I was left far behind in this discussion, but I found the whole experience thrilling and exciting in a completely different way to when they were little. I’m proud & happy that they are learning things that I don’t know about, and I’m really beginning to see the young adults that they are becoming. For myself, I really loved the performance – unencumbered by the need to study it, I could just enjoy it for itself. I found it very engrossing – the performances were pretty good, the staging and effects were impressive, and the plot was very thought-provoking and did surprise me more than a few times. This is not the case with every musical I’ve been to see and it was refreshing. Some musicals have good music but not much plot, but this show has both. Wicked covers topics like racial and disability discrimination, in a light-hearted yet challenging way, and does make you ponder whether people we see as Good and people we call Wicked are 100% what they seem. The plot is really good for teens, as it covers quite a lot of the issues that they encounter as they start to grow up and discover their identity, and find their place among their peer group. The plot follows two girls who meet at school: one of them, who will go on to become the Wicked Witch of the West, despite being talented, was born with a disfigurement that makes her green, the other one, who becomes the Good Witch, is a typical blonde, rich, fantastically popular girl, but with not much in the way of brains or talent. the Good Witch, goes out of her way to ostracise Elphaba and turn the whole school against her, but later they learn to get along and appreciate each other’s differences. 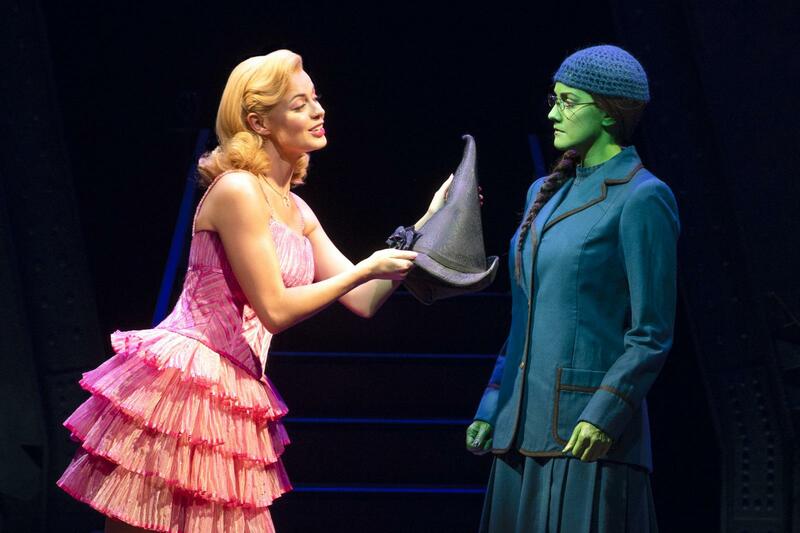 One scene which I found particularly funny was the scene where Glinda decides to makeover Elphaba, trying to make her see that such superficial changes to her hair and her posture will help to make her popular. The song she sings at this point is very clever – Glinda is trying her hardest with everything she knows, but it’s pretty clear that what she is trying to achieve will do no good whatsoever – Elphaba has no need and doesn’t care for her advice, she is destined to succeed without these niceties. I found the whole thing fascinating – even more so as someone who loved the Wizard of Oz growing up. It was very clever that the scriptwriters made the thoroughly modern plot of Wicked fit in seamlessly so that the film “sequel” made complete sense too. I left the show with a huge amount to think about. I am so enjoying the time with my children now – they have grown into utterly fascinating and compelling young people. I’m conscious of how little time I have left with them and determined to make the best of every minute. And they still sell tubs of sweeties and ice cream at the theatre too, which is enough to turn the most cynical and grown-up teen into a toddler again, with happy faces all round.